Ready to replace your tired old windows for a more beautiful home, increased energy efficiency, and added security. Our mission is to provide our customers with high quality single hung, double hung, and picture replacement windows at affordable pricing, including installation and excellent customer service. 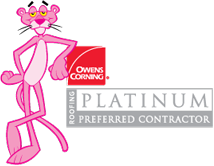 There is no “one product that fits all”, and at Colony Roofing Inc., we understand that. Our first priority is to make the window purchasing process stress-free and fun. We use only trusted brands that we have worked with for years and heavily researched. You can rest assured that your home will be getting a top quality window replacement.